The HP 364 Yellow Original Ink Cartridge with HP Vivera premium ink allows you to print lab-quality photos. Your printed documents will be comparable to laser printing. When used with HP photo paper, fast drying and long-lasting photos are guaranteed. The capacity of the cartridge is 300 pages at 5% coverage. The cartridge is designed for HP Photosmart D5460, C5380, C6380, and B8550 printers. For shipping to other EU countries visit this page HP 364 Yellow Original Ink Cartridge (CB320EE). Chcete doručit zboží do Česka? 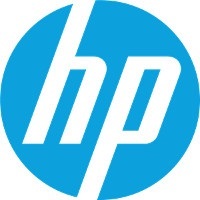 Prohlédněte si HP CB320EE č. 364 žlutá. Chcete doručiť tovar na Slovensko? Prezrite si HP CB320EE č. 364. Magyarországra történő kiszállításért tekintse meg ezt a termékoldalt: HP CB316EE 364 tintapatron sárga.